At Metrasens we are committed to protecting and respecting your privacy. For the purposes of this notice, “Metrasens” refers to Metrasens Limited and Metrasens Inc. Corresponding with us by phone, email or letter. How will Metrasens use the personal data it collects about you? Metrasens will process (collect, store and use) the information you provide in a manner compatible with the EU’s General Data Protection Regulation (GDPR). We will endeavor to keep your information accurate and up to date, and not keep it for longer than is necessary. To respond to enquiries and feedback that you send to us. The lawful justification for doing this is that it is necessary for our legitimate business’ interests to respond to such enquiries. To perform the services/deliver products that you have requested from us. The lawful justification for this is that it is necessary for the performance of a contract between you and us. To administer our website and for internal operations e.g. to measure the effectiveness of our advertising. The legal basis for this is that it is necessary for our legitimate business interests to ensure you receive the best possible experience when using our website and other systems. To comply with any applicable legal and regulatory obligations.  We also collect information about how you use metrasens.com and our other online services via our websites, and the devices that you use to access these services. This includes collecting unique identifiers such as IP addresses. For more information, see the Cookies section below. How long will Metrasens keep your information? We will not keep your data for longer than is necessary for the purposes set out in this policy. When it is no longer necessary to retain your personal data we will delete or archive it. Where we use your data because it is necessary for the performance of a contract between you and us, or as part of a legal obligation, we will store your data for as long as is necessary for those contractual and legal obligations. Where we use your data because it is necessary for our legitimate interests, or where you have given us your consent, we will store your data until you ask us to stop. You can do this at any point by contacting us. Metrasens is sometimes required to retain information in accordance with the law, such as information needed for tax and audit purposes. Will Metrasens share my personal data with anyone else? Metrasens works with a number of international distributor partners. We may pass on your personal data to these contracted third parties where they are best placed to deal with your enquiry relating to Metrasens’ products and services, including sales and post sales support and service. Analytics, social media and search engine providers that assist us in the improvement and optimisation of our website. Occasionally some of our files may be audited by external auditors. Any information we disclose is provided on a strictly confidential basis where this concerns individuals. Any third parties that we may share your data with are obliged to keep your details securely. When they no longer need your data to fulfil their service, they will dispose of the details in line with Metrasens’ policy. Strictly necessary cookies – These cookies are essential for certain features of our websites to work. They include, for example, cookies that enable you to add items to a shopping cart or cookies that enable you to log-in to secure areas of our website. Without these cookies some services you may have asked for cannot be provided. Analytics/Performance cookies – These cookies allow us to collect anonymised information to recognise and count the number of website visitors to a web page and see how visitors move around the website. This information is used to help us improve our websites, for example by monitoring how easy it is for users to find the information they are looking for. Functionality cookies – These cookies are used to recognise you when you return to our website so, for example, we can remember your settings. The information these cookies collect is anonymous and does not enable us to track your browsing activity on other websites. By using our websites, you agree that we can place these types of cookies on your device. Targeting and advertising cookies – These cookies are used by trusted third parties to deliver adverts more relevant to you and your interests. They are also used to limit the number of times you see an advertisement as well as to help measure the effectiveness of our advertising campaigns. Information contained in these cookies is anonymous and doesn’t contain your personal information. Managing cookies – If you’d prefer to restrict, block or delete cookies from Metrasens, or any other website, you can use your browser to do this. Each browser is different, so check the ‘Help’ menu of your particular browser to learn how to change your cookie preferences. If you choose to disable all cookies we cannot guarantee the performance of our websites and some features may not work as expected. Firewalls and encryption: We apply firewall protection and encryption technology to our systems where appropriate. Some of the data we collect from you may be transferred to third parties (e.g. Salesforce, Pardot and other cloud providers) who will store your data outside the EU. By submitting your personal data you agree to this transfer, storing or processing. Unfortunately, the transmission of information via the internet is not completely secure. Although we do our best to protect your personal data we can’t guarantee the security of data transmitted to our site and any transmission is at your own risk. If the processing is based on the legitimate interests of Metrasens or a third party, information about those interests. You also have the right, at any time, to complain to the Information Commissioner’s Office if you believe we are not complying with relevant laws and regulations relating to your personal data.